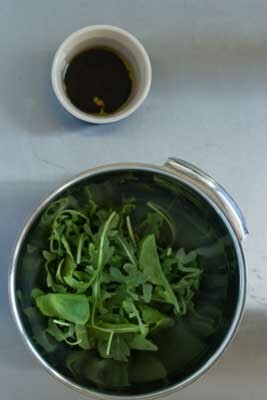 This dish is similar to Prosciutto e fichi but turns the dish into a salad. When you select the fig you should make sure it looks plump, is soft to touch but not bruised. The bottom of the fig should have sweet syrup leaking out from it. My preferred prosciutto is Prosciutto di San Daniele from Udine as it is slightly sweeter but is more difficult to find as it is produced in smaller quantities than Prosciutto di Parma. The prosciutto would ideally be freshly sliced (also so you can taste it and ensure it is not too salty) but even if purchased from a package, it should be thinly cut and have a silky texture, not a waxy one. Only buy prosciutto from Italy. I have not found a suitable substitute from other countries. You cannot substitute cooked ham for prosciutto in this dish. This dish is very much dependant on the quality of the ingredients you can find. 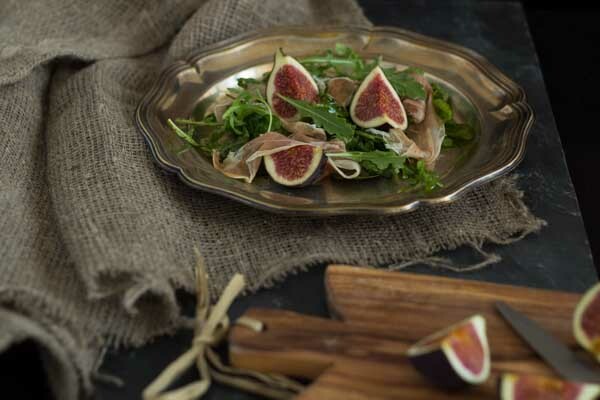 If figs are out of season, then substitute the figs with fresh mozzarella cheese. 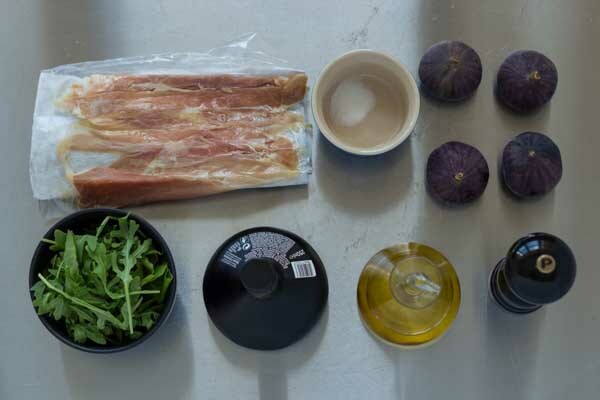 Place the rocket onto four plates and place six pieces of fig on top. Drape 2 pieces of prosciutto over top of each plate and serve with nice crusty bread.